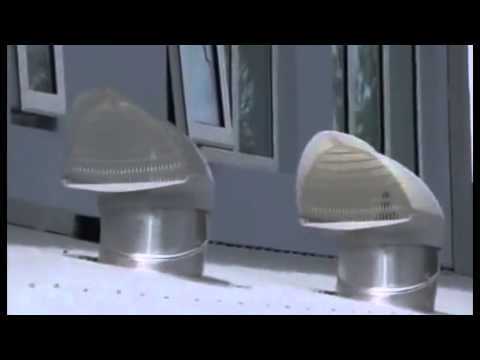 SkyVent - Natural ventilation and skylight in one innovative new product. Superior aerodynamic performance - unit faces into wind and extracts hot, moist air. Click to see operation! Ideal for industrial applications. 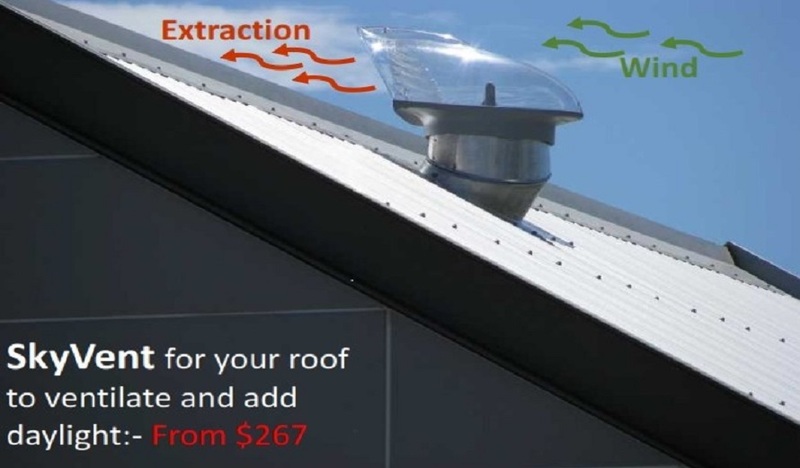 Extract hot, humid air and improve natural lighting. 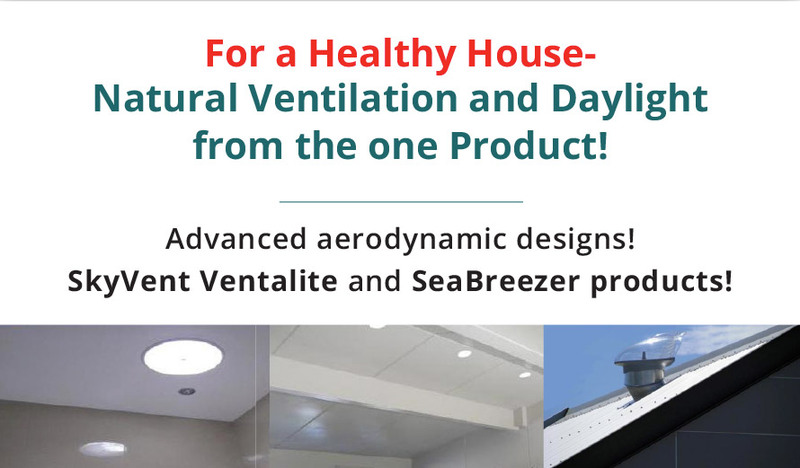 Superior natural ventilation and daylight in the one affordable product! No running costs, silent, giving a healthier home. The benefits of natural ventilation and daylighting to wellbeing and productivity are well known. There are many indoor air quality issues associated with older, poorly designed buildings. These may include mould, fungal spores, condensation, and dust mites that contribute to conditions such as asthma and respiratory tract infections. In some cases newer, airtight buildings, may have even exacerbated the issue by increasing the amount of carbon dioxide and other airborne contaminants being trapped inside the buildings. Utilising natural ventilation and daylighting principles is a science that ESA understands. By combining science with low cost options, our product range will continue to provide innovative, sustainable solutions for our customers. 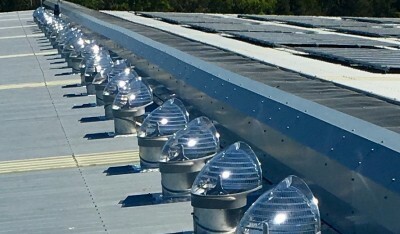 SkyVent solutions for a healthy house. ESA’s SkyVent, SkyVent + VentaLite, and SkyVent Hybrid + products are designed to enhance indoor air quality utilising low cost natural means. By bringing daylight inside to dark recessed spaces and providing natural ventilation for the removal of stale/contaminated air the home will be healthier. Where moisture builds up in bathrooms the SkyVent Hybrid + provides the most effective solution. The innovative SkyVent attic vent allows daylight and ventilation into the attic space, helping to reduce condensation, discourage nocturnal pests, and keep insulation dry. The SkyVent utilises natural air flow via advanced wind extraction, and improved stack and buoyancy characteristics for extraction when there is no wind. The revolutionary SkyVent + VentaLite with its combined function allows light and ventilation into any room of the house. You can control the airflow out of the room with the SkyVent by rotating the prismatic lens to open or close the gap at the side of the diffuser. 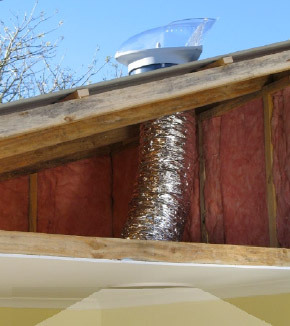 By venting the laundry dryer and any mechanical fans into the VentaLite reflective tube this allows for direct exhaust of moist air through the roof vent. 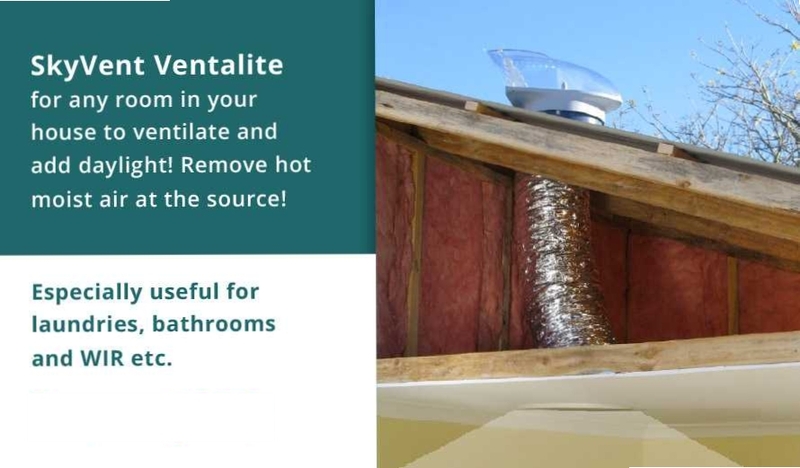 SkyVent + VentaLite also aids heat recovery ventilation systems to exit exhaust air from the bathrooms when the house is under pressure. These products will save you energy, help protect your assets, protect the environment, and save you money. Now that is smart! The perfect combination: a SkyVent for the attic space and a SkyVent + VentaLite or SkyVent Hybrid +for the bathroom or laundry!